Attention aspiring real estate tycoons in Atlantic Canada! Saturday, July 21 is your last chance to attend the Real Estate Investor Forum in Halifax at kick off rate prices. 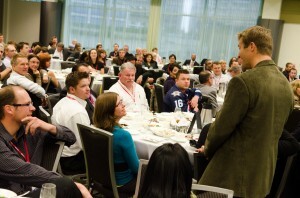 The “Kick Off Rate” for Canadian Real Estate Wealth’s famous conference represents 40 per cent in savings. Unlike real estate, prices for these conference tickets will appreciate rapidly, so get in on the deal while you still can. After Saturday the price will go up. Visit the Investor Forum website to get more info! It’s all happening on October 20 at the Westin Nova Scotian. This is the first time Canadian Real Estate Wealth is bringing the forum to Halifax so there’s a lot to get caught up on. You can read all about it here. We’ll have more buzz on who will be speaking at the newly-minted Halifax and Calgary legs of the forum soon, so stayed tuned to BuzzBuzzHome News for that!